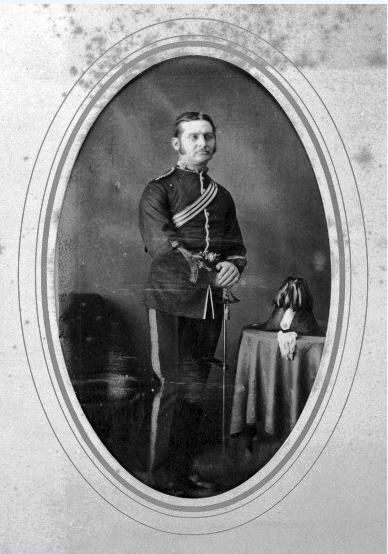 Colonel Henry Comerford (1844-1905) of the Royal Army Medical Corps played key roles in both the Zulu War and the first Boer War in South Africa. Henry Comerford was born in Galway on 8 February 1844, studied medicine and graduated MD before entering the Royal Army Medical Corps. While he was serving in Bermuda, he was awarded a gold pin by the German Emperor for good services to the sailors of a German barque. He also served in Dover and Mandalay, where was where he was the Principal Medical Officer. He was appointed Assistant Surgeon on 31 March 1866, Surgeon on 1 March 1873 and Surgeon-Major on 31 March 1878. He was present in the Zulu War in 1879, and was at the Battle of Ulundi (medal with clasp). He was also involved in the First Boer War in 1881, when he took part in the defence of Pretoria and was mentioned in dispatches. He was appointed Brigade Surgeon on 5 April 1892 and Surgeon-Colonel on 6 July 1896. Colonel Comerford retired from the service on 17 May 1902, and in retirement he lived at the Grand Hotel, Dover. He died in Charing Cross Hospital, London, on 15 May 1905, aged 61. Administration of his will was granted to his widow, Jane Comerford. His effects were valued at £11,822 16 s 11d. The British Medical Journal, 24 May 1902, p. 1312. Obituary, The British Medical Journal, 17 June 1905, p 1363. Calendars of Wills and Administrations, NAI Dublin. 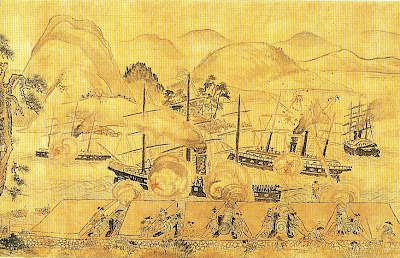 Japanese cannons at Shimonoseki. 1863 painting. Source: ‘Saigo Takamori and Togo Heihachiro.’ Surgeon John Comerford was mentioned in despatches for his attention to the wounded under fire in 1864. Surgeon-Colonel Comerford was a contemporary of another surgeon whose naval career paralleled his military career, and both were mentioned in despatches for their bravery and valour. Surgeon John Thompson Comerford was a distinguished naval surgeon from Carlow who left an interesting biographical account of his time in Japan in the 1860s. John Thomson Comerford was the son of John Comerford, clerk, and Eliza Christiana Comerford (nee Salter?) of Carlow; they appear to have been married in on 31 March 1837 in Dunleckney Church of Ireland Parish Church, Co Carlow. John Thomson Comerford was born in Carlow on 9 February 1844, and baptised on 25 February 1844 in the Church of Ireland Parish Church, Carlow. He studied medicine, graduated MD and joined the Royal Navy. He entered the naval service on 7 September 1863 as an Acting Assistant Surgeon to the Royal Adelaide for Plymouth Hospital. However, almost immediately, he was sent to Japan. 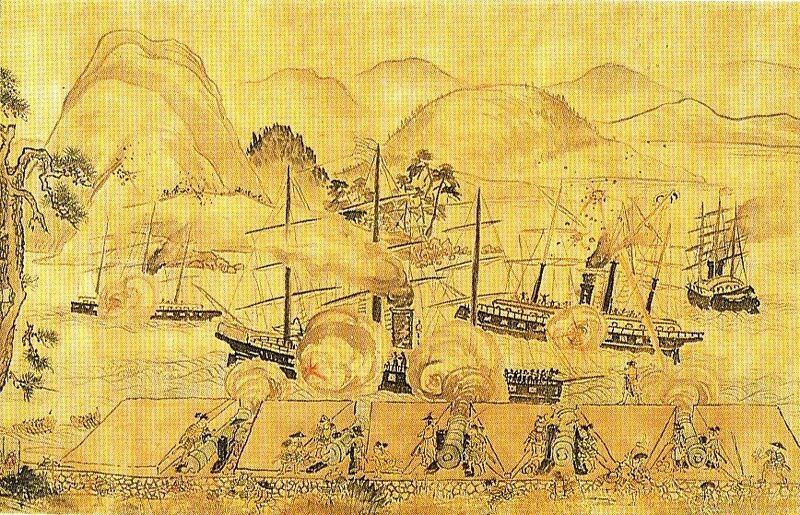 During the Anglo-Japanese War of 1863-1864, he served as Assistant Surgeon with the Naval Brigade in the attacks on the batteries on the Shimonoseki Strait in September 1864. He was mentioned in despatches for his attention to the wounded under fire. Comerford left an account of his time in Japan in his diary written between September 1863 and 1 February 1865, which was published in Kyoto in 1954. In October 1866, John Comerford was wrecked in the Griffon near Little Popo on the west coast of Africa. On 27 January 1868, he was appointed to the Beacon. Throughout these years, he continued to maintain his connections with his native Ireland, and in 1870 was listed as having a house in John Street, Carlow. In 1876 he was appointed to the Haslar Hospital. He was promoted to Staff Surgeon on 14 April 1877. On 6 January 1879 he was appointed to the Hibernia. On 19 December 1883, he was promoted to the rank of Fleet Surgeon, and he was Fleet Surgeon to the Duncan in 1885. In 1888, at his own request, he was placed on the retired list, with permission to assume the rank of Deputy Inspector General. He died twenty years later in 1908. An edited version of his diary narrative of his time in Japan was published half a century later in 1954. Frank Hawley (ed), An English surgeon in Japan in 1864-1865 (an extract from the private journal of John T. Comerford) (Kyoto, 1954). The British Medical Journal, 19 September 1863, p. 333. The British Medical Journal, 23 September 1876, p. 418. The British Medical Journal, 5 September 1885, p. 467. The British Medical Journal, 22 September 1888, p. 882. The fourth son of Lieutenant-Colonel Comerford, he was born in 1865 and was baptised in Saint George’s Church, Hanover Square, London. 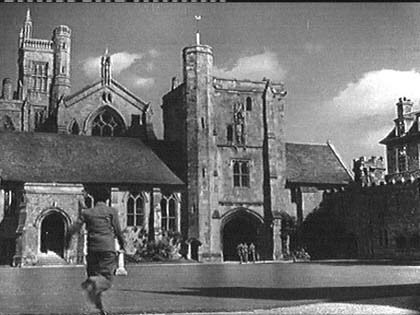 He was educated at Sherborne School, where he gained distinction as an athlete, winning the mile, half-mile and steeplechase and being captain of both cricket and football for two consecutive years. He was a student at Saint George’s Hospital, qualifying MRCS and LRCP in 1887. Later, he obtained his MD and DPH degrees at Durham University in 1904. He was successively senior house surgeon, house physician and obstetric assistant at St George’s, and was later resident medical officer at the Chelsea Hospital for Women and for ten years clinical assistant at the Victoria Hospital for Children. Dr Comerford was also honorary medical officer for the National Children’s Adoption Society. During World War I, he returned to Saint George’s as surgeon to the out-patient department and worked for four years without a break. In recognition of this, he was appointed an honorary governor of the hospital. 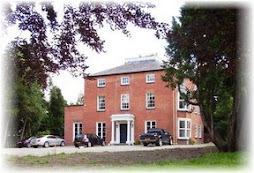 In 1905, he married Elizabeth Frances Shaw Woodgate, elder daughter of the Revd RSS Woodgate, of Pembury Hill, Kent. She was a keen dog breeder. Dr Comerford and his family lived at 3 Chester Terrace, Eaton Square, and later at 50 Cheyne Court, Chelsea, London. At the time of his death, he was one of the older practitioners in the West End. He died in London on 15 July 1947, and was survived by his widow Elizabeth and their son, Dr Richard Eric Woodgate Beaumont Comerford (see below). Obituary, The British Medical Journal, 9 August 1947, p. 231. Dr Richard Eric Woodgate Beaumont Comerford, who for much of his career was the consultant anaesthetist to Charing Cross Hospital, was the only son of Dr Beaumont Harry Comerford (see above), and like him was educated at Sherborne and had close connections with Saint George’s Hospital. He was born in 1914, and like his father was educated at Sherborne School, Dorset (1928-1933). Later he studied medicine at Gonville and Caius College, Cambridge, in the 1930s, and at Saint George’s Hospital, London, where he was a scholar. He qualified in 1940, and received the degrees MB and BChir at the University of Cambridge in 1941. Meanwhile, he was commissioned a lieutenant in the Royal Artillery on 27 May 1939. During World War II, he was a major in the Royal Army Medical Corps, serving as a specialist anaesthetist in India, Burma and French Indo-China. After World War II, he returned to medicine and to Saint George’s Hospital as a registrar. He took the Diploma in Anaesthetics (DA) in 1946, and became a Fellow of the Faculty of Anaesthetics, the Royal College of Surgeons (FFARCS) in 1953. He then became resident medical assistant at Fulham Hospital and with the inception of the National Health Service (NHS) he was appointed a consultant anaesthetist. In 1964 he became consultant anaesthetist to the Charing Cross group of hospitals, but continued to run the anaesthetic department at Fulham until the move to the new Charing Cross Hospital in 1974. He was honorary treasurer of the South-West Metropolitan and Wessex Society of Anaesthetists for 12 years. Like his mother, he was a keen dog-breeder, and he was honorary secretary, then president, of the Schipperke Club. His other hobbies include, and as a Freemason, he was a keen member of three lodges. His son, Jeremy James Woodgate Comerford, who was born in 1949, was the third successive generation in the family to be educated at Sherborne (1967). 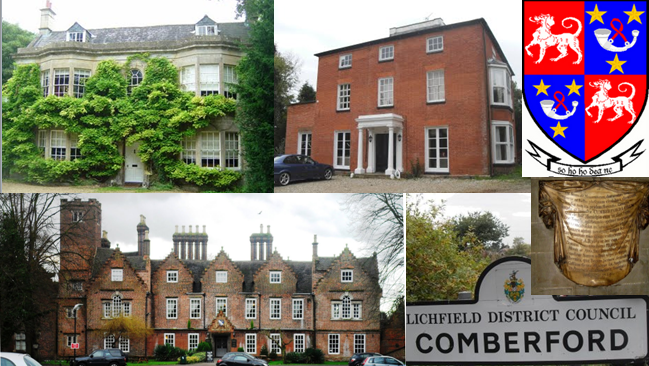 Dr Comerford died in 1980 at the age of 65, and was survived by his wife Ann and their son and daughter. Carlow Parish (Church of Ireland), parish registers. Dunleckney Parish (Church of Ireland), Co Carlow, parish registers. London Gazette, 26 May 1939, p. 3555. ‘Universities and Colleges,’ The British Medical Journal, 27 December 1941, p. 929. Obituary, The British Medical Journal, 17 May 1980, p. 1232. (c) Patrick Comerford, 2009, 2010, 2011, 2013, 2014, 2017. Last updated: 4 December 2010; 27 April 2011; 5 January 2013; 23 July 2014; 20 June 2017.